Drew Angerer / StaffFacebook CEO Mark Zuckerberg. 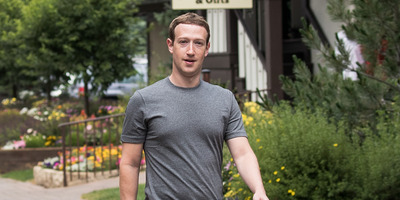 Facebook CEO Mark Zuckerberg has responded to the Cambridge Analytica scandal that has embroiled Facebook since last Friday, and which wiped tens of billions of dollars off the social network’s market value. The scandal centres on British data company Cambridge Analytica, which has ties to Donald Trump’s 2016 presidential campaign, and which illicitly obtained information from as many as 50 million Facebook profiles by abusing Facebook’s data-sharing features. Although the story broke over the weekend, Zuckerberg did not respond until Wednesday, in a a post on his Facebook profile. Facebook also published a blog post about abuse of its platform on Wednesday. In 2014, to prevent abusive apps, we announced that we were changing the entire platform to dramatically limit the data apps could access. Most importantly, apps like Kogan’s could no longer ask for data about a person’s friends unless their friends had also authorised the app. We also required developers to get approval from us before they could request any sensitive data from people. These actions would prevent any app like Kogan’s from being able to access so much data today.